← Cuimhnichibh air feasgar Diardaoin aig Sgoil Airidhantuim! Due to the bad weather the Airidhantuim School Memories event due to be held today has been CANCELLED. Keep your eye on our Facebook page and Twitter feed for details on the re-scheduling of the event. 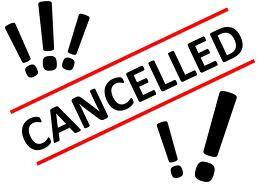 We have also had to cancel our Steering Group meeting which was also due to be held today. We apologise for any inconvenience caused, and we will notify you with new dates for these events as soon as we have them. This entry was posted in Uncategorized and tagged Airidhantuim Primary School, cancelled, steering group, weather. Bookmark the permalink.